Eating well should be a sustainable habit, but it can sometimes feel challenging if you're also on a budget. It has been three months now since I moved into my own home with Liam and it's been important for us to ensure when we plan our weekly meals they are nutritious, keep our taste buds happy and our budget on track! When we chose to eat out one of our favourite cuisines to enjoy is Japanese. 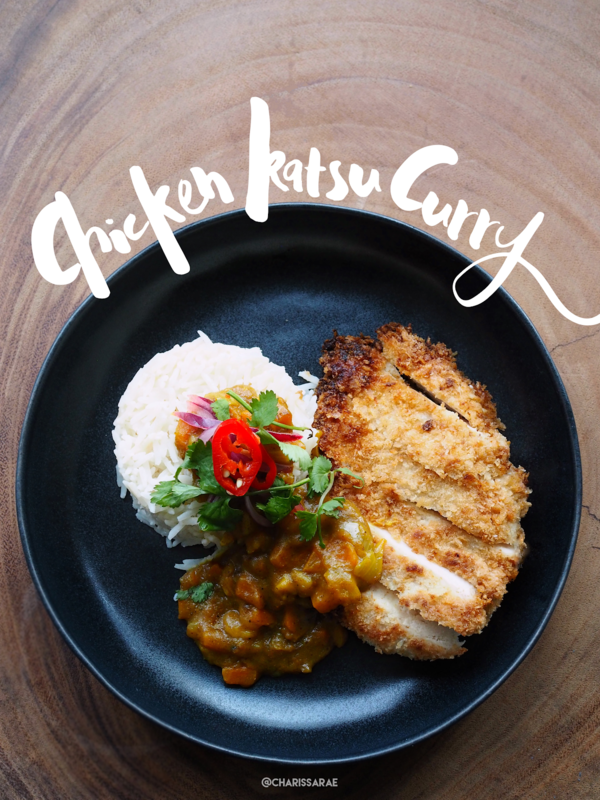 If you were to order a Chicken Katsu Curry from a chain restaurant it would typically set your bank balance back by £10 per person, however, we were able to replicate this for a fraction of the price for approximately £2.60 a plate! 1. Flatten and tenderise your chicken breasts by placing them in between sheets of greaseproof paper and bashing them. 2. Mix the buttermilk, curry powder, garlic and a pinch of sea salt together in a bowl and place in the chicken breasts to marinate for a minimum of 2 hours. 3. Sprinkle your breadcrumbs onto a tray/plate and cover your chicken breasts, pressing down to help them stick more. 4. 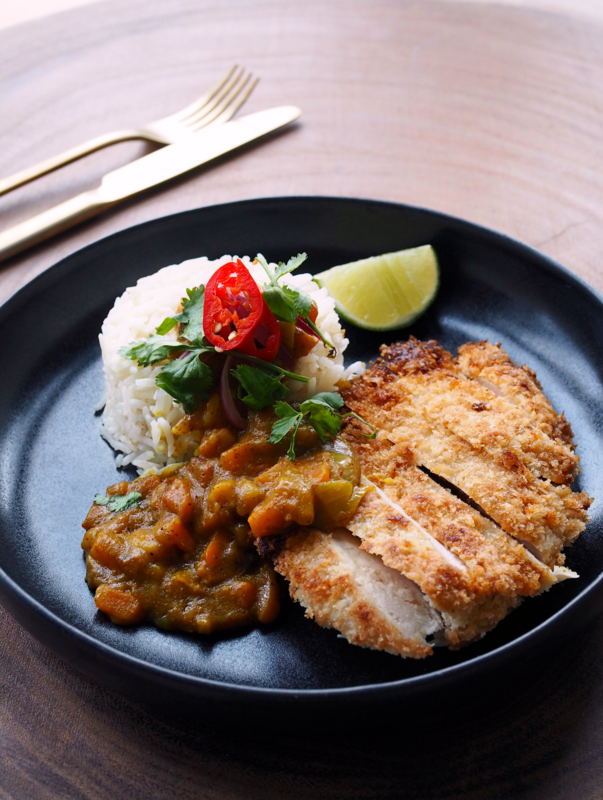 If you would like to save on time you can fry your chicken breasts in the saucepan with 1/2 cm oik and cook for 8 minutes, turning in between. However, I prefer to oven bake for 25 minutes on 220 degrees in a fan-assisted oven. 5. Whilst this is cooking you can begin with your sauce! Cut all of your vegetables finely and fry in a large pan on a medium to low heat with oil. Add the spices and keep mixing until the vegetables begin to caramelise. 6. Stir in the flour and mango chutney and pour in 400ml of boiling water and simmer for 15 minutes. Season to taste. 7. In a saucepan add your rice and add 320ml boiling water. Break in the creamed coconut and stir. Place on the lid and bring to the boil. Leave to simmer for 10 minutes. Make sure to turn that when you turn the heat off that you leave the lid on to keep the moisture inside. 8. Finally, add all the onion and chilli into a small bowl and squeeze in the lemon and mix with your hands as this will help pickle the vegetables to add more depth to the flavour. 9. All that is left to do is plate up and tuck in.